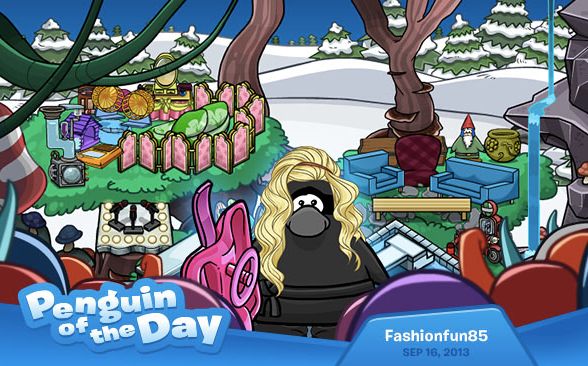 Club Penguin Cheats by Mimo777 Club Penguin Cheats by Mimo777: Penguin of the Day: Fashionfun85! Penguin of the Day: Fashionfun85! Contact CP to nominate penguins! Medieval Party: Potions - 29th! Medieval Party: Potions - 26th! Penguin of the Day: Kevke2001! Club Penguin: Potions - 25th! Penguin of the Day: Basuca46! Medieval Party: Potions - 24th! Penguin of the Day: Kittypaws101! Medieval Party: Potion - 23rd! Medieval Party: Potions - 22nd! Club Penguin Video: #WaddleOn Episode 10! Club Penguin: Medieval Party Potions - 21st! Medieval Party: Potions - 20th! Daffo's UK Medieval Potion Party! Penguin of the Day: Icyblue1113! Club Penguin: Medieval Party 2013! Club Penguin Pin Cheat: FLUFFY CREST PIN! Penguin of the Day: Topaz2D9907! Club Penguin: Medieval Party 2013 Videos! Club Penguin: Meet-up Times for Rockhopper! Penguin of the Day: Spider2458! Club Penguin: Fairy Fables Returns! Furniture Catalog Cheats: September 2013! Club Penguin: Magical Hideout Igloo! Penguin of the Day: Bruins1000! Reviewed by You: Back to School! Penguin of the Day: Sugar Cake3! Penguin of the Day: Sweety45! Club Penguin Video: #WaddleOn - Episode 9! Penguin of the Day: Nely47! Club Penguin: The Cove's New Look! Penguin of the Day: Buffle Burns! Club Penguin Pin Cheat - COCONUT SMOOTHIE PIN! Club Penguin Clothing Catalog: September 2013! Penguin of the Day: Cooldude7647! Penguin of the Day: Frostballer7! Penguin of the Day: Ponywell 222!